The Federal Capital Territory Police Command has taken into custody a police officer, Benjamin Peters, who allegedly shot a youth corps member, Linda Igwetu, in Abuja on Wednesday morning. It was gathered that detectives had commenced an investigation into the death of the 22-year-old, who was killed when the car she was riding with two of her colleagues failed to stop at a ‘stop and search’ point mounted by the police. The deceased was to pass out on Thursday after her one-year national service in Abuja before her tragic death. A source explained that the investigators would ascertain Peters’ claim that he heard a shout for help before firing the fatal shot that claimed Igwetu’s life. The police, it was gathered, were also probing why the driver of the car failed to stop after he was flagged down by the policemen. The Punch gathered that the investigators would interrogate the driver and the other occupant of the car to know what transpired during the breach of the police checkpoint. 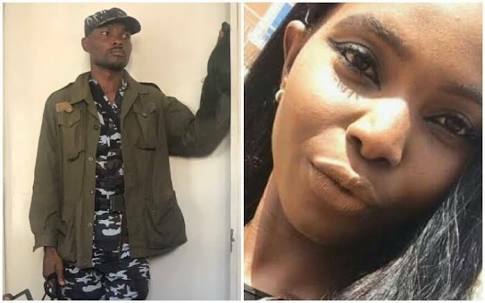 The deceased’s sibling, Chinenye said the police had not formally informed the family why Igwetu was shot dead by the trigger-happy policeman. “All we were told is that they are investigating the incident, so we are waiting to hear from them,” she stated. Chinenye explained that there were two other persons in the car when her sister was shot, adding that she was confused about the incident.